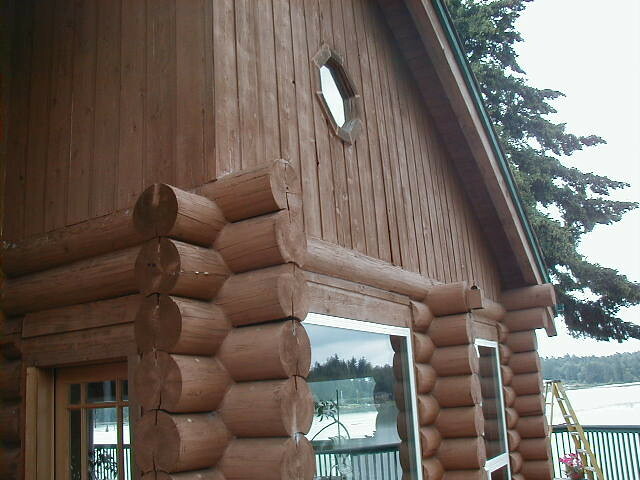 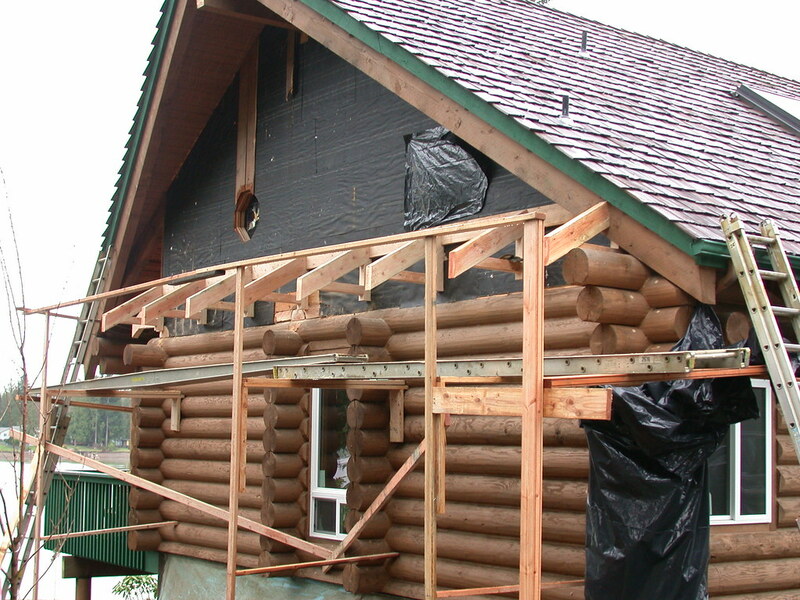 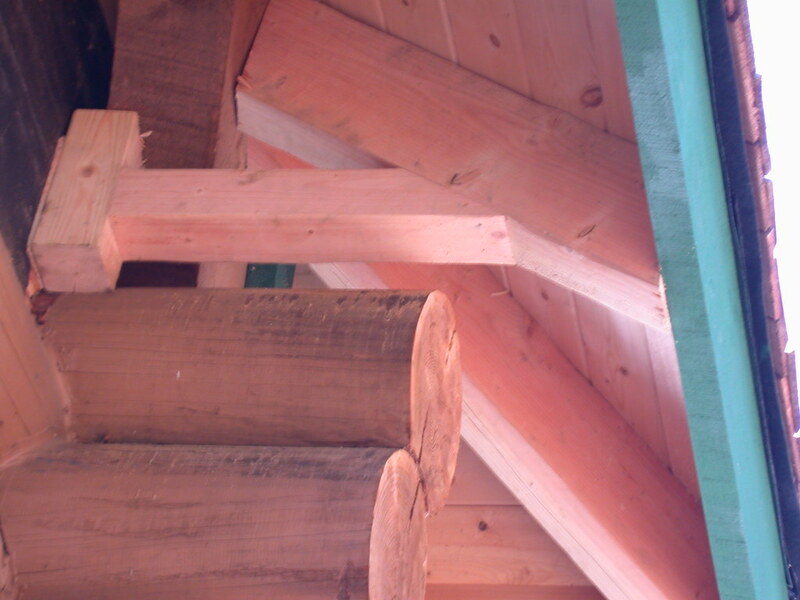 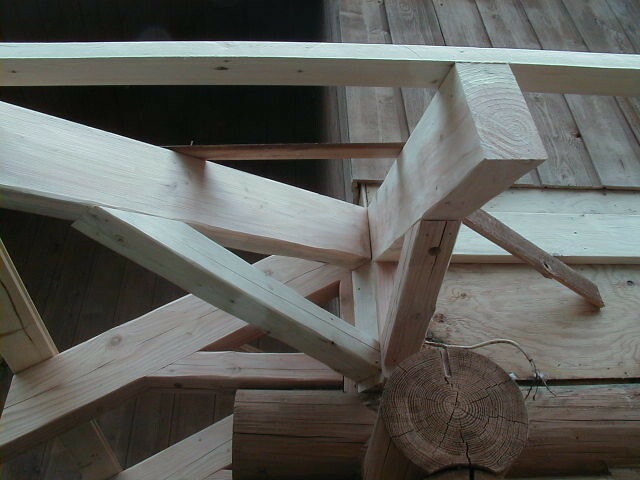 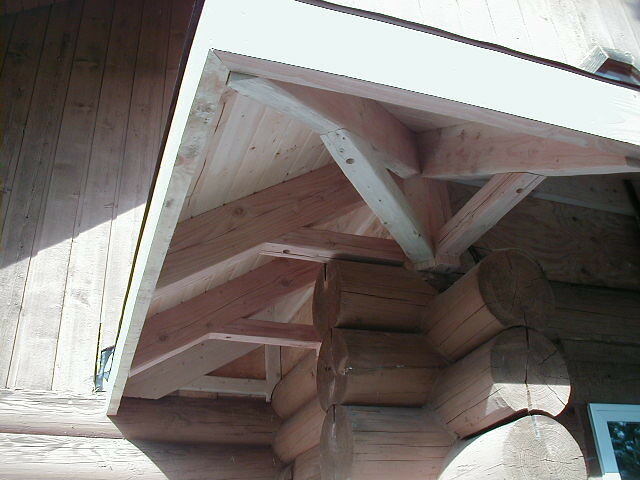 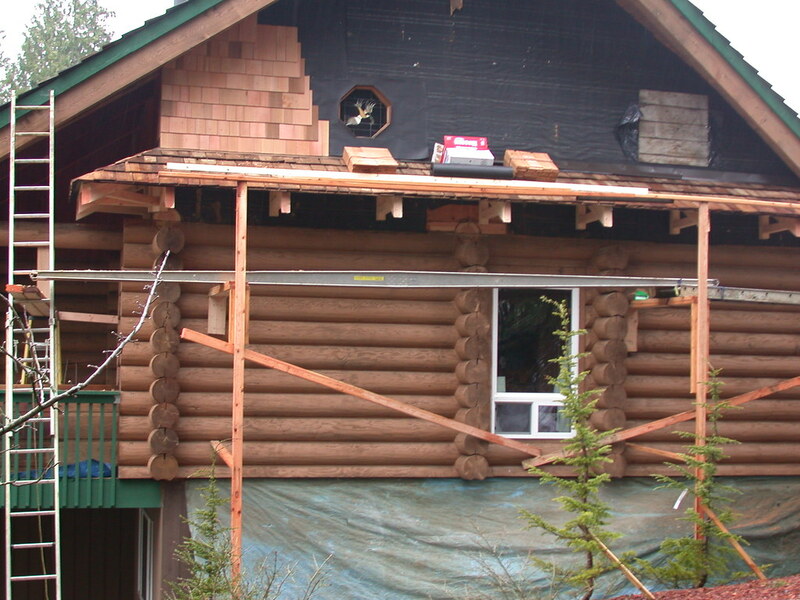 High gabled walls can pose a weathering problem for Northwest log homes. 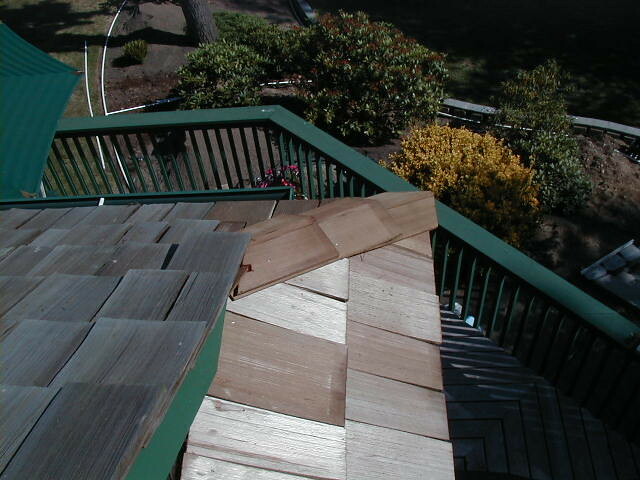 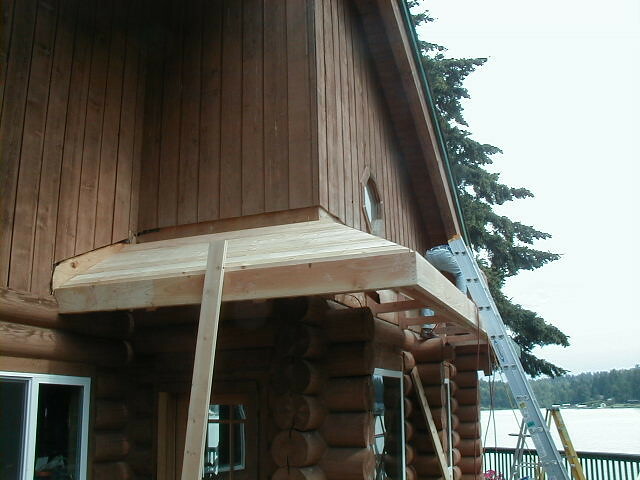 If excessive, the ratio of roof overhang-to-wall height can be easily overcome by the slightest angle in falling rain. 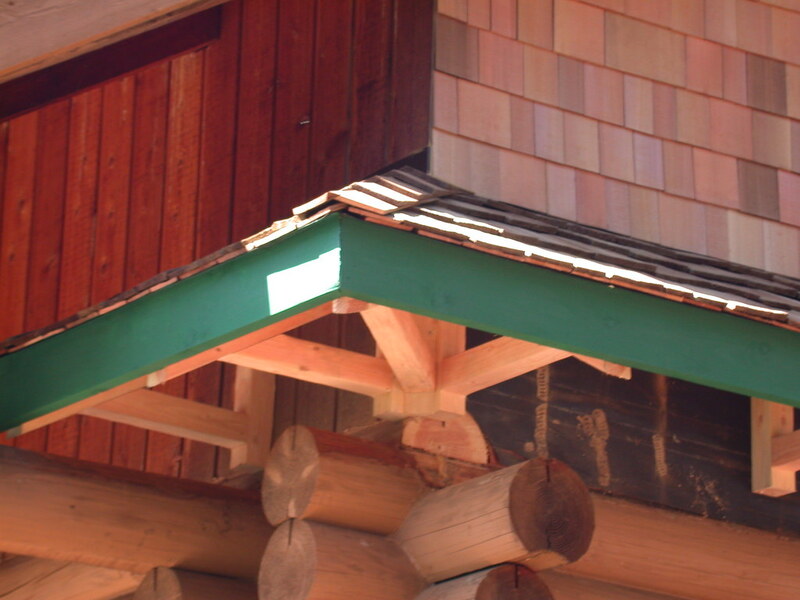 Many homes were originally built and designed without this in mind. 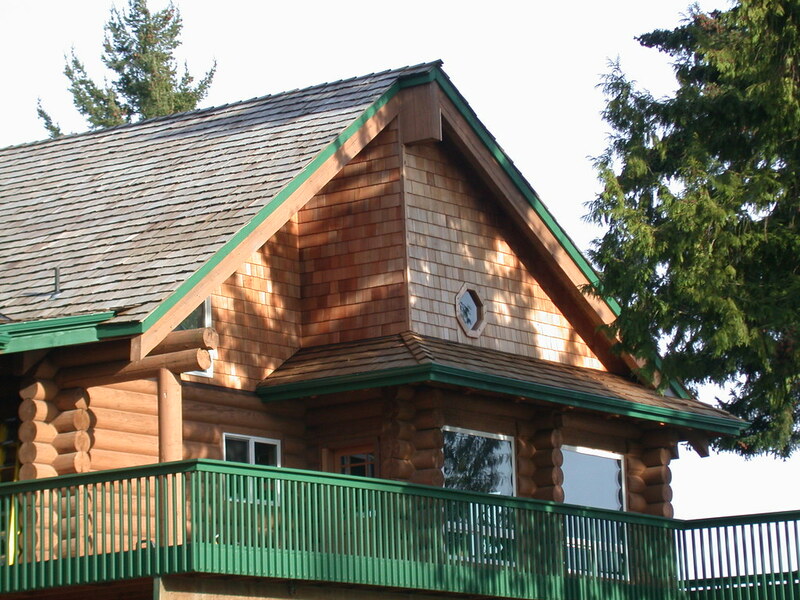 The introduction of an eyebrow roof can be a reasonably economical but effective solution offering far greater protection from the elements. 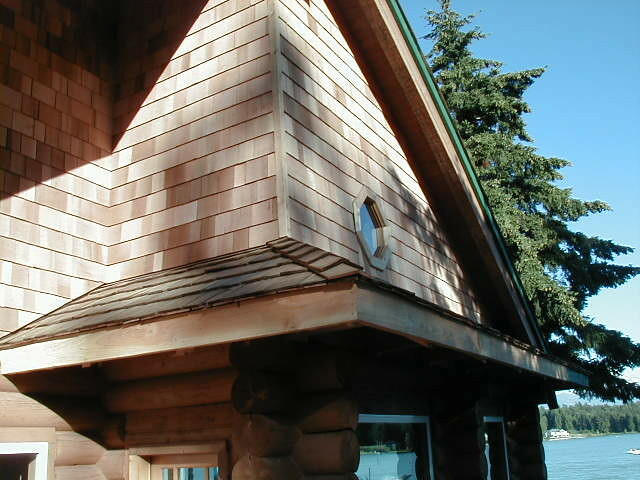 Eyebrows often become attractive architectural features as well give an altogether new look to the home. 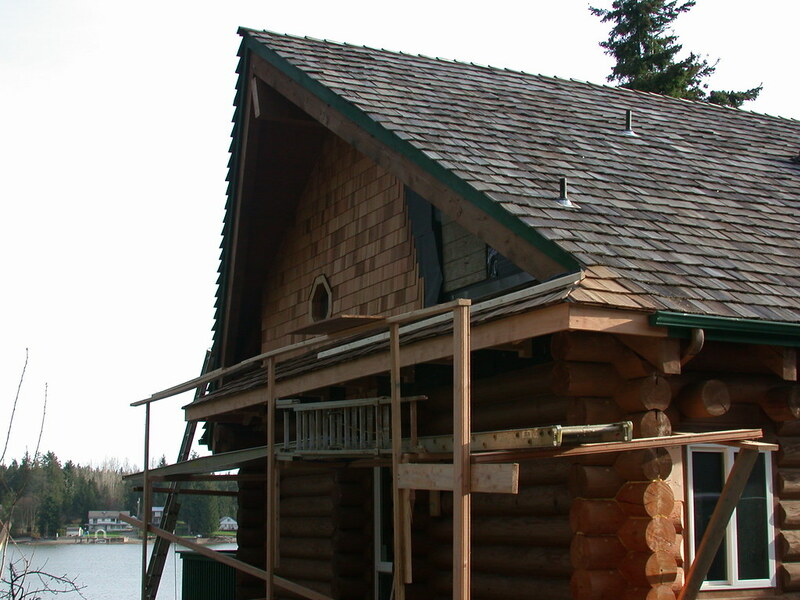 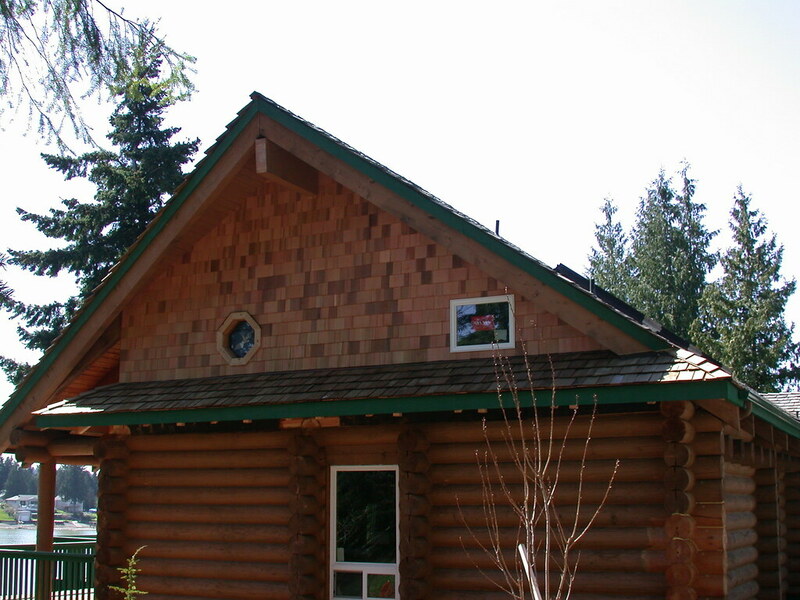 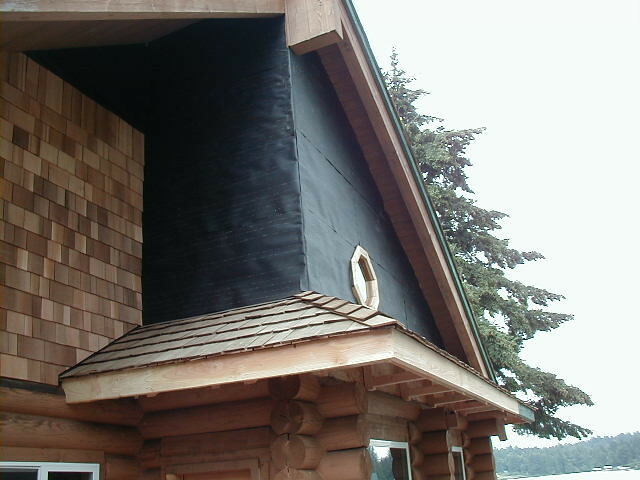 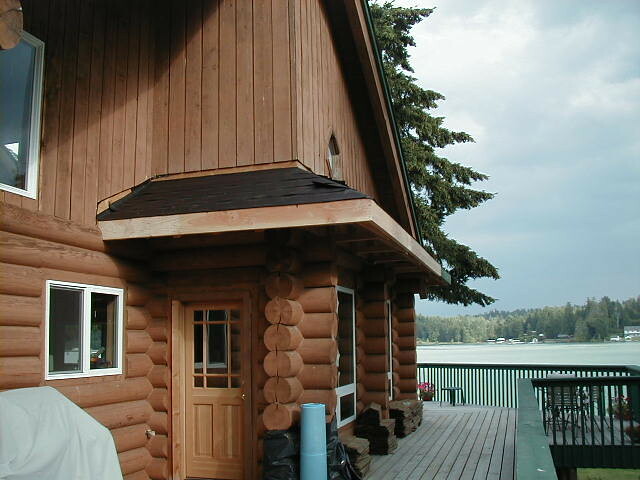 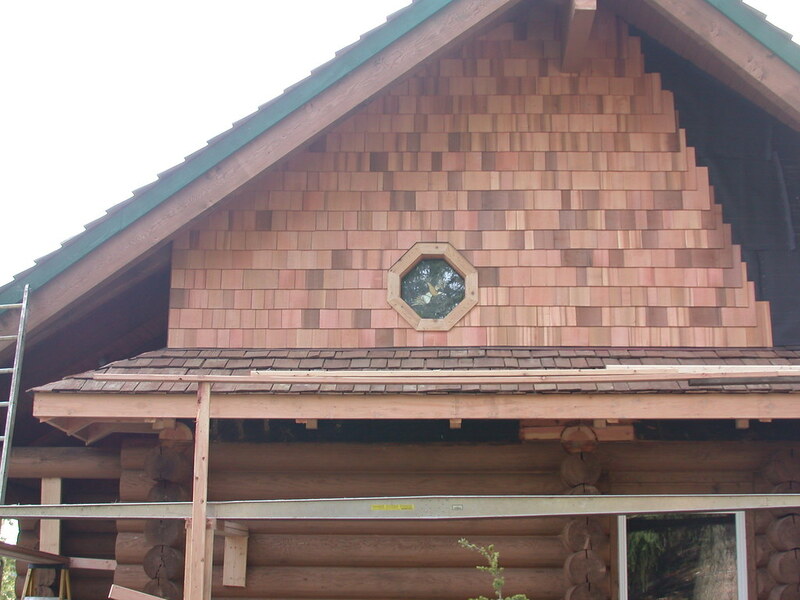 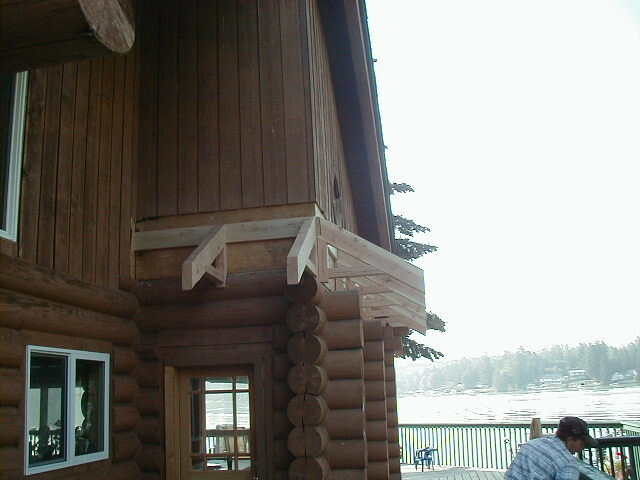 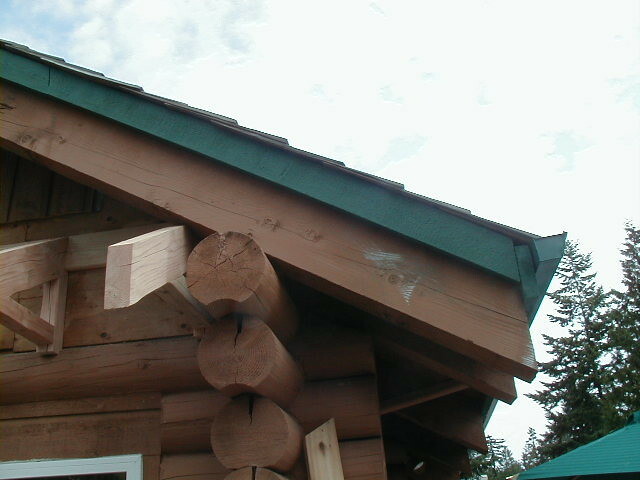 Creasey Log Homes was contracted to supply two such roofs to this home.